So, this isn’t exactly Thornbirds saga, but this one is worthy of reading through all the way to the end! 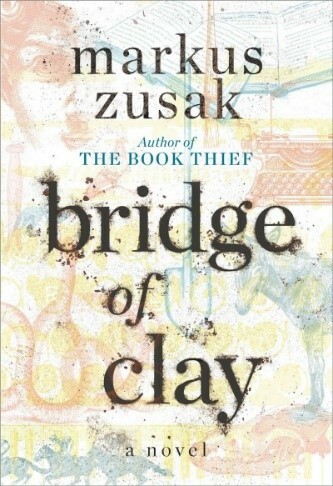 His first book since his wildly international bestseller The Book Thief from 2005, Markus Zusak writes a family drama with unraveling secrets. Set in Australia this book is about a clan of brothers and a father who returns to their lives to settle issues of conflict, grief and tragedy. In another collection of short stories author Shaun Tan juxtaposes animals living with humans in spaces that normally reserved for humans. Picture a moose or a deer looking out a window high a top a skyscraper in some busy city downtown area. With gorgeous illustrations, Tan carefully gets one thinking about our relationship with animals and the natural world. Could anything be scarier or closer to the truth than someday, running out of water? (I’m thirsty just thinking about it!). Imagine being told constantly what not to do with your water access: don’t water the grass, don’t fill the pool and especially don’t take long, luxurious showers. The Tap-Out is what happens in this fictional account of a California drought that brings out the misery and desperation of what it means to live without H2O. Here is a ghost story for those who long for a stay at a Welcome to the Hotel California style boardinghouse---you can never leave! It’s little creepy and a bit lost-in-yesteryear, but worth trusting the unreliable narrator. 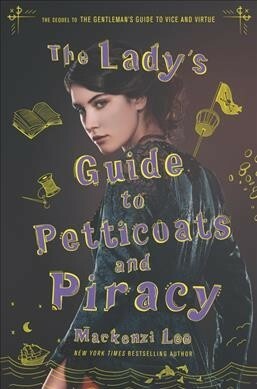 Check out the sequel The Gentleman’s Guide to Vice and Virtue. Felicity Montague is a woman with a plan: 1. Avoid marrying a lovesick suitor and 2. Become a doctor--whatever it takes! This historical fiction is full of rousing energy and determination.